New siding can completely transform the look of a home. Because it covers almost the entire surface area of your home, siding is often one of the first things people notice about your property. Siding also acts like your home’s skin — protecting it from the elements. If your siding is cracked, sagging or losing its luster, it may be time to replace it. It’s normal to feel nervous about such a big decision, but knowing what to look for can help you make an informed choice. Here’s a guide to choosing the right color and type of siding for your home. While there are many siding materials to choose from, vinyl siding is by far the most popular. In fact, about 32 percent of new homes in the U.S. feature vinyl siding. Introduced in the 1950s, early vinyl had something of a mixed reputation, as it was prone to cracking, fading and sagging. However, modern vinyl is durable and affordable. Most importantly, it looks beautiful. Vinyl can also mimic the look of cedar shakes and even board-and-batten siding. High-quality vinyl siding gives homeowners the ability to get the unique look they want while benefiting from vinyl’s durability and easy maintenance. 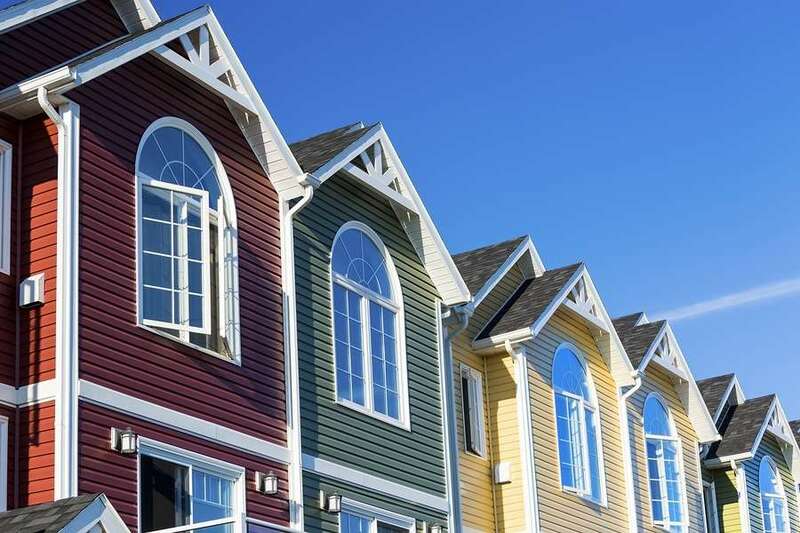 If you think your vinyl siding colors choices are limited to tan and white, think again. Today’s vinyl siding colors come in an array of designer colors that complement any architectural style, from bold Victorians and sleek mid-century modern homes to charming Cape Cods and traditional colonials. View our siding gallery for a look at some of the vinyl siding colors available. At Nu Look Home Design, we’re proud to offer Alside siding, which offers high impact resistance, uniform weathering, moisture protection and a lifetime warranty. Once you’ve decided which type and color of siding to install, it’s important to find an experienced, reputable contractor to install siding for your home. Explore siding contractors in your area, and check online to see what other homeowners have to say about them. Your siding contractor should be happy to provide you with the names of homeowners who have used their services in the past. Are you ready to give your home a whole new look? Call our siding experts today at (800) 279-5300 or email us at info@nlhd.com to learn more.